Gragg Advertising tapped by the American Heart Association to produce “Go Red” campaign work. Gragg Advertising has been tapped by the American Heart Association to help raise awareness and critical funds for the 2017 Go Red For Women campaign. This partnership aims to shift the conversation around heart health to fight heart disease and stroke. Giving back is engrained in the agency’s “people first” culture, and the team dedicated over 120 probono hours to this community partnership. Under the theme of “Choose Heart” Gragg Advertising supported several of Go Red’s initiatives through a mixture of print work, digital, photography, video and social media campaigns. “Being a part of this ‘Go Red’ movement has been rewarding for our entire agency as we engage our local community in an important, live-saving discussion with the AHA brand,” said agency president/COO Darryl Mattox. Since kicking off the campaign in February’s American Heart Month, Gragg Advertising has launched several employee engagement events including heart healthy pot lucks and educational wellness sessions. May is American Stroke Month and Go Red’s mission continues to build healthier lives, free of cardiovascular diseases and stroke. To learn more about how you can make a positive difference please visit http://www.heart.org/kc. 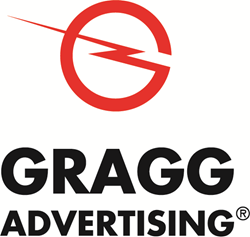 Gragg Advertising is a full-service direct response marketing agency located in Kansas City, Mo. With a focus in online technology, Gragg has been recognized by Forbes as one of the world's "Top 100 Agencies that Know Social Media and Google". Gragg aligns a brand’s purpose with its customers’ behavior to deliver on the radical idea that marketing can be something people want. To learn more visit http://www.graggadv.com. Go Red For Women is the American Heart Association's national movement to end heart disease and stroke in women because it’s not just a man’s disease. In fact, women are more likely than men to have heart disease or a stroke. The good news is that 80 percent of cardiac events can be prevented with education and lifestyle changes. Go Red For Women advocates for more research and swifter action for women's heart health. The American Heart Association's Go Red For Women movement is nationally sponsored by Macy's and CVS Health, with additional support from our cause supporters. For more information, please visit GoRedForWomen.org or call 913-652-1929.